Address Camino Viejo de Elche-Alicante, Km. 3 ELCHE (Alicante) C.P. 03295 – Partida de Maitino. 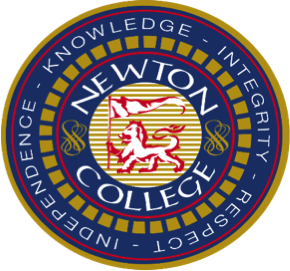 Newton College is a private non grant maintained British School, founded in 1991 and is a member of N.A.B.S.S; E.C.I.S. and A.C.A.D.E.. The School offers a full British Primary Curriculum complemented by the obligatory subjects of the Spanish Curriculum required by the Spanish Ministry of Education and the Royal Decree regarding foreign schools in Spain. 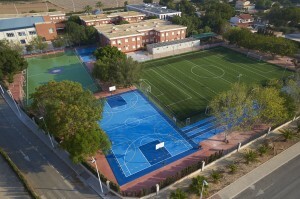 The School is situated between Elche and Alicante in a purpose built building offering modern installations and play areas on a large plot of 27.000 m2. A continued programme of construction will ensure the education for children from the age of 3-18. At present the school has pupils from 3 to 14 years old. Classes are small with an average of 25 pupils per class. A class teacher and assistant is available on a full time basis for all classes in the age range of 3-6 years. The teaching staff is fully qualified and offer many years of experience in the British and Spanish educational systems. The school is approved by the British and Spanish authorities. Enrolment takes place each year in March, late applications should be sent directly to the school . The school provides a happy environment where children are encouraged and motivated in all aspects of their education.